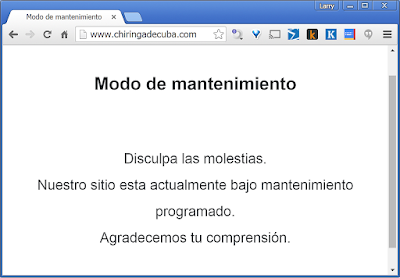 The Internet in Cuba: The Chringadecuba blog has been suspended. The Chringadecuba blog has been suspended. 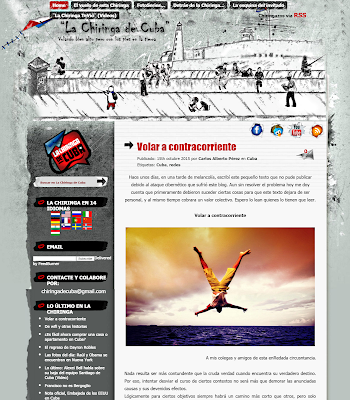 In July, 2012, blogger Carlos Alberto Pérez moved his blog from Wordpress to his own domain chiringadecuba.com because he worried about the possibility of Wordpress censorship. There has been online speculation that this may have been the result of an imperialist maneuver, doubting that Cuba could suspend a dot.com account, wondering whether Carlos Alberto had paid his registration bill, etc. It turns out that the server is still reachable and running, but it just serves up an old fashioned CGI script and the name registration has been paid through next June. I spoke with Baruch College Professor and Cuba scholar Ted Henken who has learned that the Web hosting company has suspended the server due to a denial of service attack. Henken suspects that the attack may have been orchestrated by the government of Cuba in retaliation for leaked documents that have been posted on the blog. (I've spoken with someone at the datacenter where the blog is hosted, but have not heard back from the hosting company). If the government did execute a denial of service attack on Chiringadecuba, I would be extremely disappointed. Carlos is not subversive -- he is a conscientious critic, stating "I don't criticize to knock the system down. On the contrary, I criticize to perfect the system." (Pérez has been offering constructive criticism from the start. 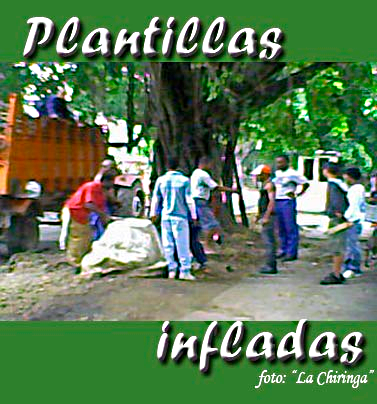 In his first post he described ten municipal workers with a truck who had the "job" of clearing fallen leaves from a street). As Henken points out, the thaw in US-Cuban relations and the growth of digital civil society on the island gives the Cuban government an opportunity to demonstrate that it can tolerate constructive critics and to learn from them. I hope to see Chringadecuba soon. 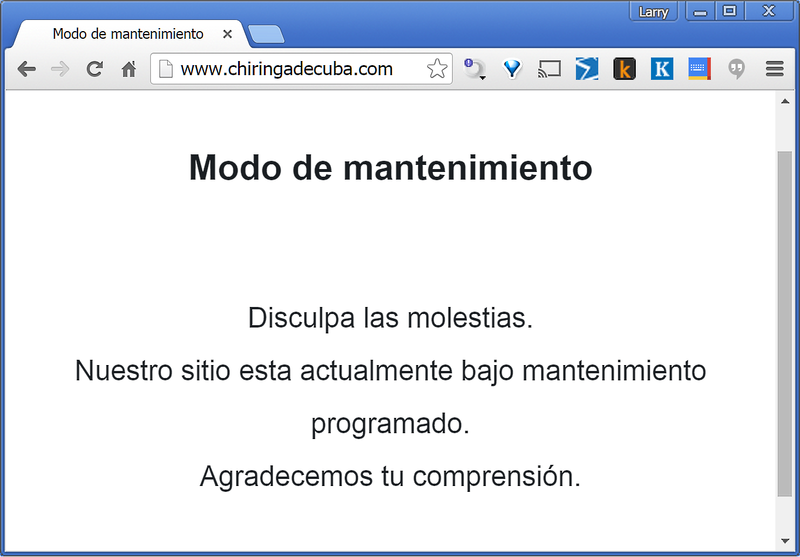 After a short time online, Chiringadecuba was hit by another DDoS attack and taken down. Plans are being made to move it to a better protected site. It will be back -- stay tuned! 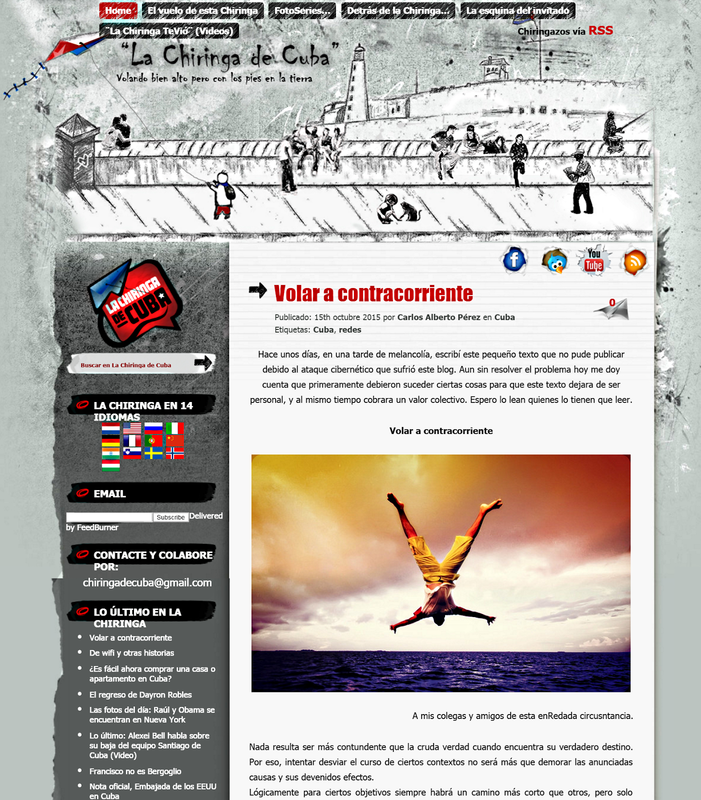 Chringadecuba is back online at a different hosting site. 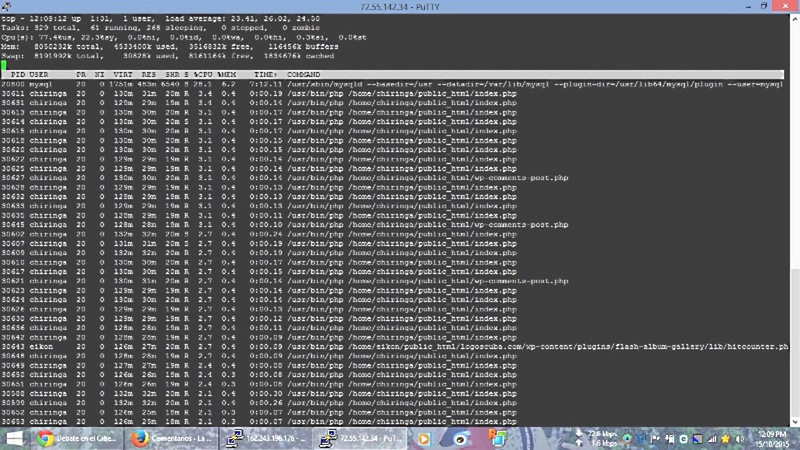 Hopefully, this one will be able to withstand a DDoS attack if another one occurs. The archived posts are still not reachable, but we are working on it. I hope this is the last update I have to write to this post. The Chiringadecuba blog has been fully restored -- the archives are now back online. The blog has been moved to a new, secure host, the post archive has been restored and blogger Carlos Alberto Pérez is posting again. It is no secret that Cuba is controversial -- the government has both staunch supporters and severe critics. Ironically, the attack on Chiringadecuba could have been done by people on either side. Pérez supports the government and therefore he is willing to criticize it. As he has said "I don't criticize to knock the system down. On the contrary, I criticize to perfect the system." A Cuban scholar once told me that knew he was doing his job well when both sides were angry with him. I guess Chiringadecuba is doing a good job. It looks like there may be a new attack on Chiringadecuba. 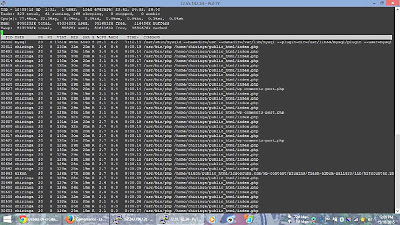 Checking the cPanel log for 30 minutes yesterday there were 866 HTTP calls in the thirty minutes between 17:11:13 and 17:41:53. They ranged in size from 0-7,263,988 bytes, with an average size of 74,190 bytes. (298 were empty). The majority were page GETs.